For your 8 eyes only.... If you suffer from arachnophobia – don't worry - this Jumping Spider is so tiny; you won’t be able to see his eight eyes with the naked eye We did not see that we disturbed his dinner – one of the words tiniest ants -because the spider is only 3 mm long. 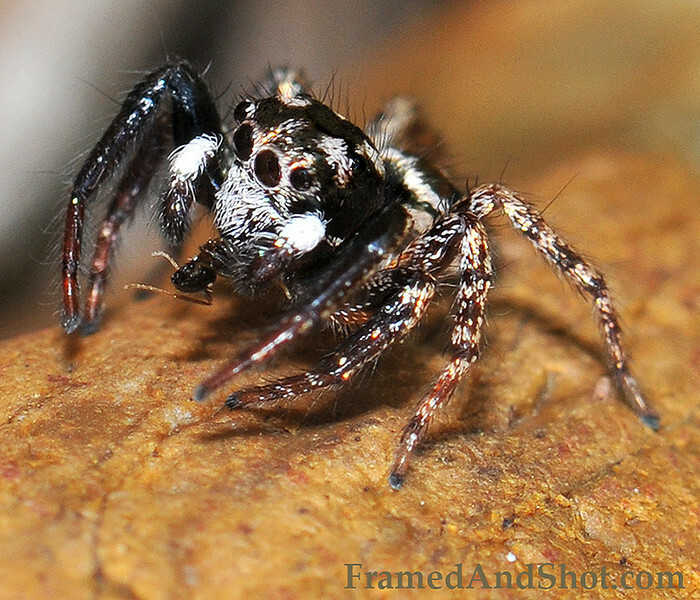 It is just by photographing him we know that he has eight eyes and is hairy… A macro lens is a wonderful thing This little spider is a superman - he can jump up to 50-60 times its own length, and have eight eyes that can see 360 degrees.